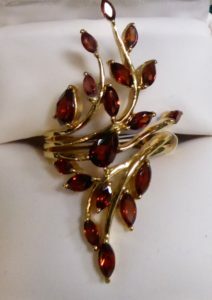 Gemstone Jewelry, an Unusual Rocker and an Invitation!! This Weekend!! A Special Invitation! 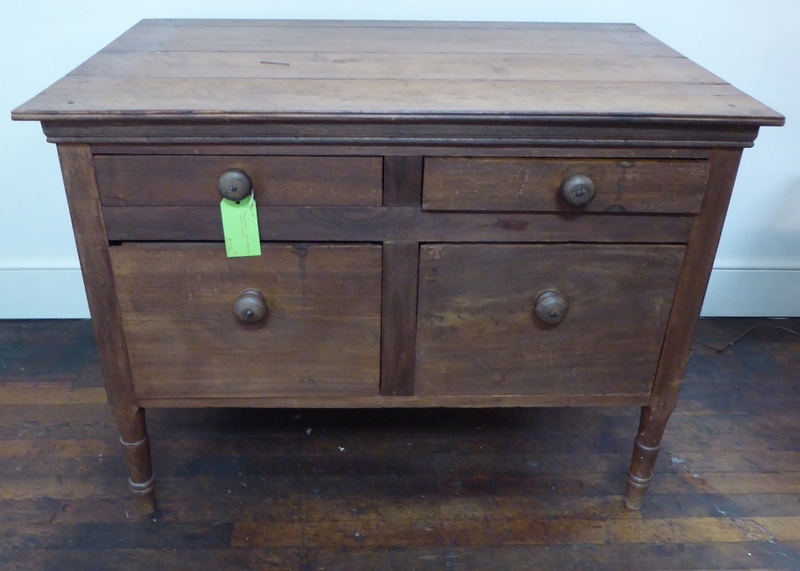 Sheraton Four Drawer Work Table from Booth 318, $300.00. 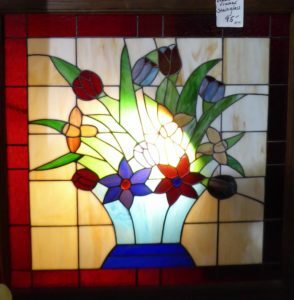 Large Stained Glass Window from Booth 320 – $95.00. 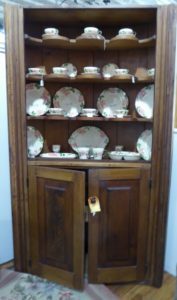 Barrel Backed Cupboard from Booth 448, $795.00. Genuine Jade/Diamond – Sterling Platinum Bracelet from Booth 12 – $450.00. Druzy/Sterling Cuff from Booth 12 – $138.00. Mozambique Garnet Ring – 14k over Sterling, $215.00. 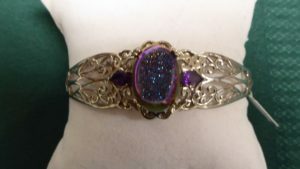 Tanzanite Bracelet – $450.00, Booth 12. 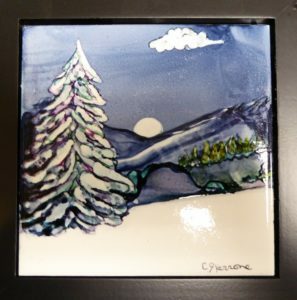 Original Framed Tile by C.J. Verrone – Alcohol Ink ‘Silent Snow’, $48.00, Booth 12. Abstract Floral by C.J. Verrone – $285.00. 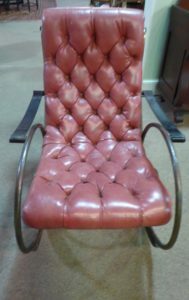 Italian Designer Metal Rocker – Nice. Booth 33, $395.00. 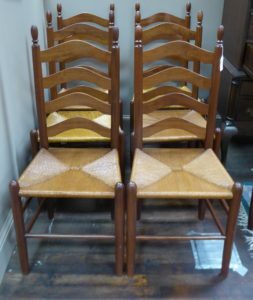 Set of 6 Clore Ladderback Chairs – Booth 67, $975.00. ‹ Great Old Molasses Jug, Fab Weller Vase, Early Redware and More!